Today’s vehicles are built far more efficiently than they were in years past. Unfortunately, this means that they have more complicated issues and can be trickier to fix. To get to the heart of your vehicle’s problems, bring your car to Seeburg Service Center. Our knowledgeable, experienced mechanics will figure out what’s wrong as quickly as possible. Whether you’re having an issue with your engine, your electrical system, your exhaust, your brakes, or whatever the case may be, we will solve the problem with dedicated service and high-quality parts. Before you know it, you’ll be back on the road again! 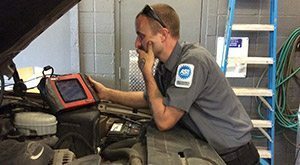 Combining the expertise of our ASE-certified mechanics with state-of-the-art diagnostic tools such as Alldata, Identifix, OTC Genisys, and Auto Engenuity scanners, we are able to pinpoint your car’s issues and replace the defective components. We promise that we will repair your vehicle in a quick and affordable manner. We only use first-rate replacement parts, but we will also give you the option of purchasing rebuilt components if they are available. In addition, you can trust that our auto repair shops will only fix what needs fixing. We’ve been in this business for decades, and it is our reliability and honesty that compels our customers to continue working with us for generations. Oh the dreaded check engine light! If your check engine light is on or your vehicle is simply running badly, bring it in and we’ll assess your engine to properly diagnose the problem. Then, we can investigate possible causes and develop a plan of action. Your car may need routine maintenance, resetting of its service lights, or a more serious operation. Air conditioning is one of our most appreciated modern conveniences. So if your vehicle’s air conditioner or heater has suddenly stopped working, we completely understand your frustration. Give Seeburg Service Center a call and we will figure out if the problem lies in the compressor, the expansion valve, or another part entirely! A vehicle’s electrical system consists of a battery, a starter, and an alternator. Working together, these components give your car the energy it needs to start up and run correctly. 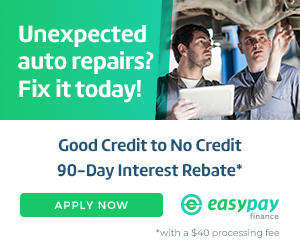 If your car’s electrical system isn’t working properly, our expert technicians can test the parts to figure out what the problem is and how it can be remedied. Your vehicle’s steering and suspension ensure that you’re able to enjoy a smooth, stable drive. So if you experience anything strange, such as wandering wheels, uneven tire wear, or bouncing, you need to bring your vehicle in for an assessment. We’ll check a variety of components, including the front end, rear end, shocks, coil springs, wheel bearings, power steering, and more. Getting your car repaired doesn’t have to be a stressful experience. If your car is in need of a repair, find the Seeburg Service Center nearest to you. We have locations in Missouri (Springfield) and Arkansas (Rogers, Springdale, Fayetteville). Give us a call today or schedule an appointment online to get started!